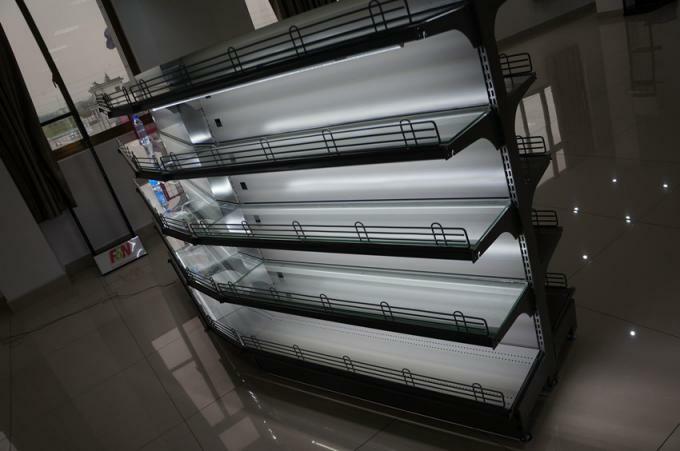 1, Cosmetic glass supermarket shelf System is for the most Supermarket applications. the cosmetic shelf delivers effective and professional merchandising solutions to display the cosmetics and some daily cleaning products. 2, Five Levels or any other levels . 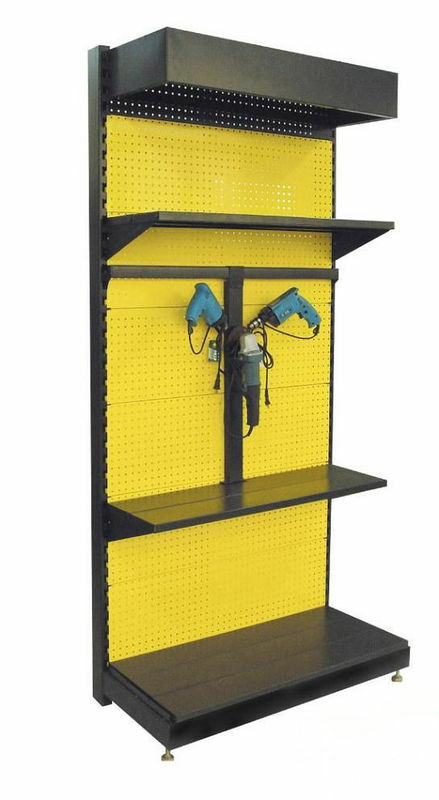 3, The shelf is easy to assemble and disassemble, if you don't know how to assemble, we can provide installation manual. 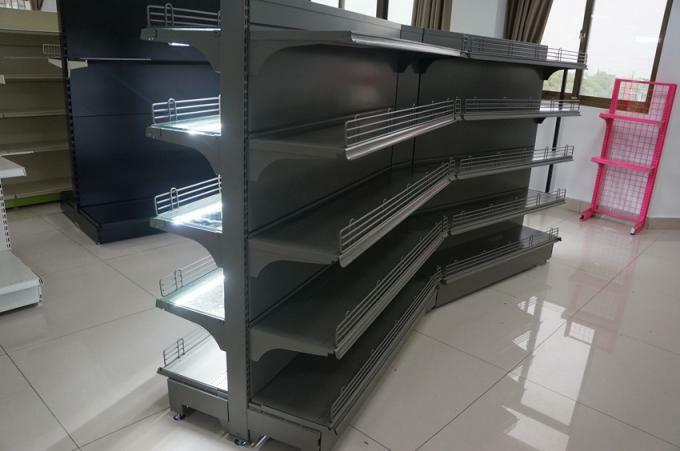 4, Different style shelf has different loading capacity. You can tell us your loading requirements, we will provide you with the most reasonable design combination . 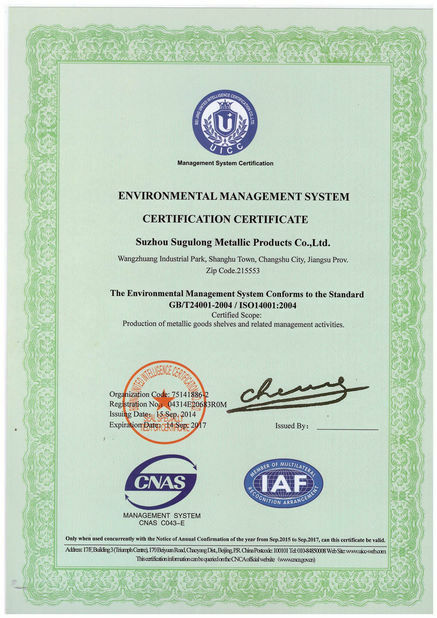 6, Moreover, our company also offers services such as designing and producing novel products according to the customers' requirements, technical consulting service in whole-set layout, shelf configuration, good display, lighting and scene design of marketplace, as well as all-round after-sales services. 7. 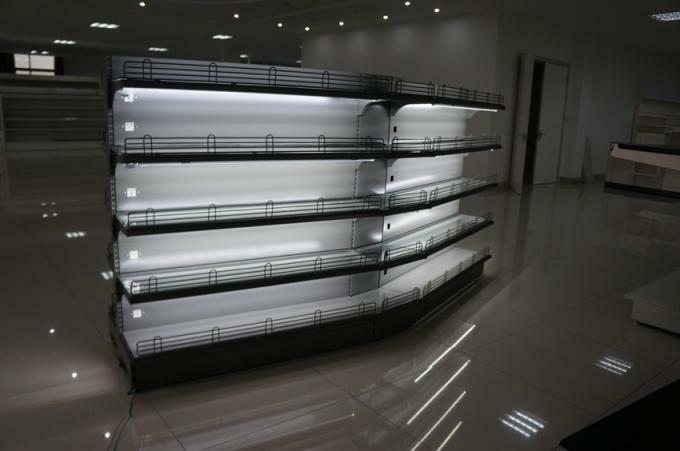 You can install the LED lamp ,it will make your products looks more beautiful and will let the customer have more purchase desire. 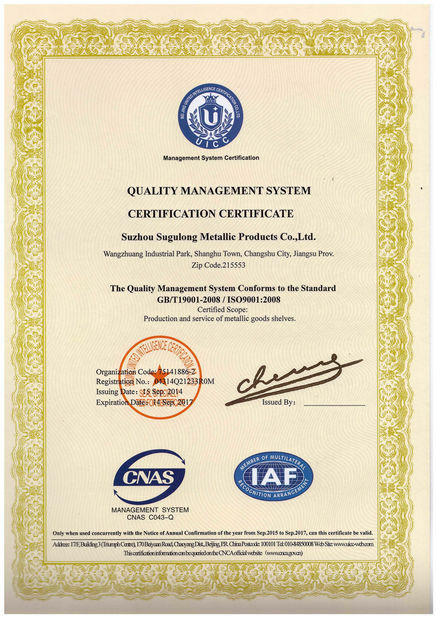 3) The reliable and efficient service before and after deal.